Congratulations! You managed to score a date in San Francisco, a feat that is not as easy as one might think, all things considered. (Like the fact that over 50% of people in the city are single). But now that you’ve convinced someone to actually go out with you (or managed to keep someone around who enjoys your company), it’s time to go on a date that will completely wow them. You know the kind: NOT drinks at a dive bar or nitro cold brew at a fancy coffee shop. Don’t worry though: We’ve got you covered. From boat rides to bonfires, pinball to painting, we’ve come up with a slew of date ideas that are guaranteed to be a good time. 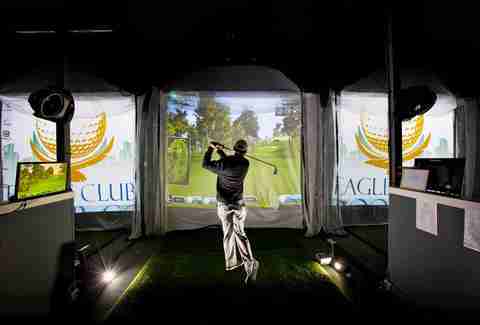 A virtual, indoor driving range means you can enjoy the best aspects of golf -- hitting balls drinking -- without having to endure any of the negatives (stuffy dress codes, early tee-times, committing to 19 holes with a person you just met on Tinder). Upgrade your standard happy-hour date by suggesting an after-work tee-time (it’s located on Second and Howard, near all your standard happy hour bars, anyway). Discovering the over 26 million specimens at the California Academy of Sciences is a fun date any time of day, but if you go during regular hours, it’ll cost $80 for two of you and there won’t be any alcoholic beverages. 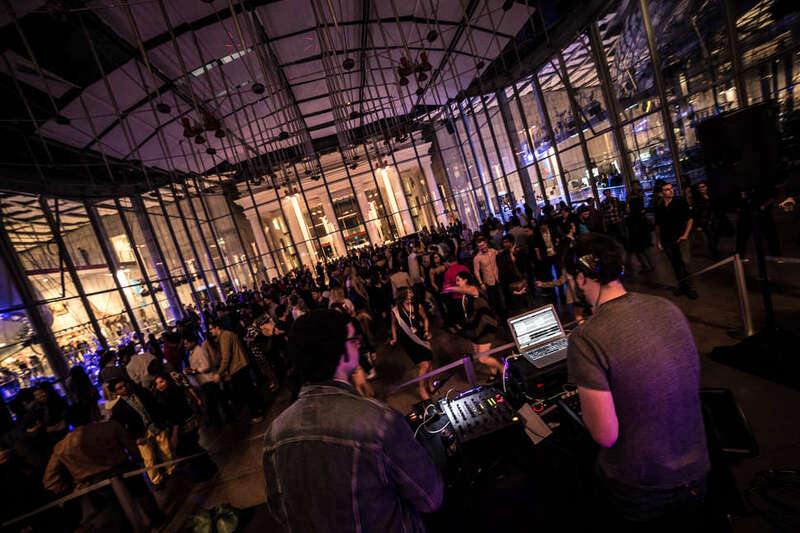 If you go during NightLife on Thursday nights, however, admission is just $15 each and there are full bars throughout the museum, as well as a different DJ each week. Plus, what’s more alluring than sitting in a dark aquarium with someone you like watching luminescent jellyfish pulse and propel? Sure you could go to a restaurant at the Ferry Building and sit down and enjoy your standard meal, or you could go on a Ferry Building crawl. Eat oysters at Hog Island Oyster Company, snack on cheese at Cowgirl Sidekick, split chili cheese fries at Gott’s, get spring rolls from Out the Door, and finish the tour with ice cream from Humphry Slocombe. And, of course, be sure to stop by Slanted Door for a whisky cocktail or Fort Point Beer Company for a delicious beer brewed right here in SF. 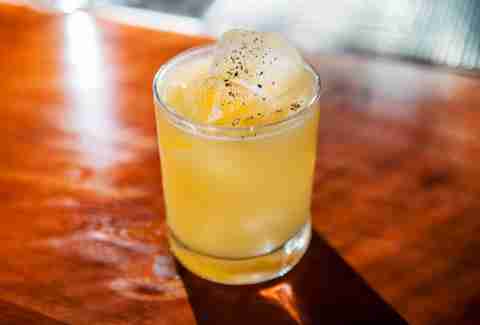 Classic courtship gets the trendy, hipster treatment at Mission Bowl. It’s basically a typical Mission bar -- complete with decent food, craft cocktails, and people in flannel -- only there are bowling lanes, too. Come during the week when the wait list for the two first-come, first-served lanes is generally shorter. If you’re into setting up rom-com levels of twee but want to resist the cliched ice skating date, the Church of 8 Wheels is the perfect retro alternative. DJs spin old-school funk and disco while you skate around a converted historic church. Pro tip: If a drink is an essential part of your dating repertoire, bring a flask -- there’s no bar on the premises. For around the same cost as a dinner for two at any moderately priced restaurant in the city, you’re treated to a much more interactive experience with this food tour of San Francisco’s most delicious neighborhoods. Choose from Italian goodies in North Beach, Latin flavors in the Mission, or Chinese delicacies in Chinatown and taste popular dishes from five of the most iconic restaurants and holes-in-the-wall the neighborhood has to offer. From the team behind SoMa StrEat Food comes this bountiful food truck park/beer garden, complete with fire pits, swings, and an open-air double-decker bus where you can hang out. Enjoy casual dining in a fun, spirited setting. 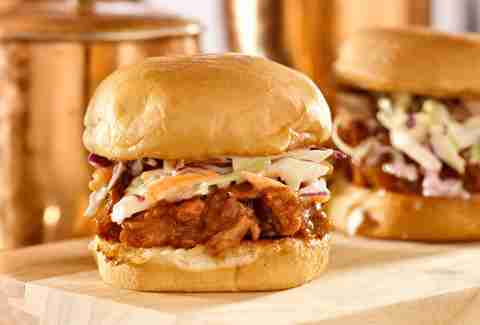 Grab food from the 10+ food trucks, roast marshmallows at the fire pits, or watch the game on one of the huge TVs. It’s generally not impossible to find a spot to sit, but you can reserve seats for free by calling ahead. And since the most important part of dating if you have a dog is finding out if your date likes your dog, you’ll be happy to know that furry friends are allowed. 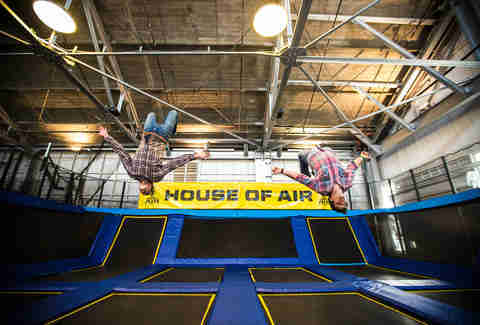 A massive trampoline park in a historic airplane hangar. Do we really need to explain further why this is a fantastic idea? After you’re done jumping around like kids, plan on sharing a bottle of wine on Crissy Field across the street like the adults (with the healthy, active love lives) that you are. You know what’s expensive? Dating. You know what’s free? Hiking. And thanks to panoramas around every corner, San Francisco turns what’s basically just walking into an exercise in romance. SF offers several awesome urban date hikes, but a walk that ends at Sutro Baths is especially dreamy. Making out... in a cave... whilst waves gently crash near by -- it’s like Danielle Steel created SF’s coastline herself. Playing ridiculous dating games is the worst. Playing Skee-Ball, shuffleboard, air hockey, pool, foosball, pinball, and video games, however, is not. Head to Emporium, the new 12,000-square-foot arcade/bar (“barcade,” if you will), in the historic Harding Theater, and spend a couple of hours finding out the most important thing you need to know about your date: if they’re a good sport or a sore loser. Emporium also has tons of craft beer on tap, an excellent whiskey selection, and you can order food from nearby restaurants like 4505 Burgers and Souvla. There’s a reason dating shows like The Bachelor make contestants do adrenaline-pumping activities: It makes people hot for each other. The other reason is that it’s totally fun. Either way, you pretty much have to go to Icarus Bungee. Just be prepared to get up super early and drive up to five hours; the closest bridge to SF is two-and-a-half hours away, but there are 14 different bridges and the location is chosen based on weather conditions. 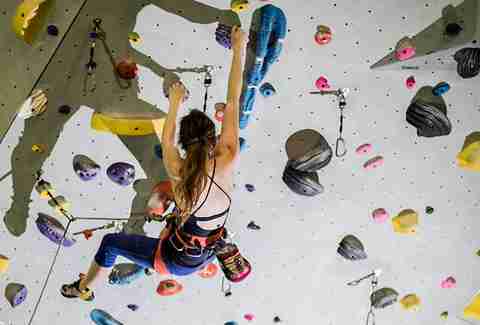 Granted, no one looks good in a harness, but once you and your date get past that, rock climbing is practically guaranteed to bring you two closer. It has something to do with endorphins and bonding over harness wedgies. Old world music meets modern nightlife at this weekly late-night event. Most nights of the week, Monroe is pretty clubby, but every Wednesday the space is home to the musical stylings of Bach, Mozart, Beethoven, and even a full orchestra monthly. Enjoy soaring instrumentals, French horns, and string quartets without the pretension or prices of the symphony. In fact, cocktails go for $5 and beers for $2 during the event. If you don’t consider yourself an artist, you’ll probably change your mind after a drink or two. Pinot’s Palette offers classes every Thursday, Friday, and Saturday night where you’ll learn how to paint anything from a Tahoe sunset to a “hooty owl,” all while sipping on wine and craft beer. If the date goes well, you’ll have something to remember it by, and if not, well... your mom was probably sick of getting grocery store flowers for Mother’s Day anyway. Free live music nightly, a late-night menu of delicious bar bites from the team behind Maven, (another great date spot), Sazeracs on tap, tasty bites from Hazel Southern Bar & Kitchen, and a sultry vibe take an easy drink date to the next level here. Enjoy a front-row view of the band at one of the high-top tables or get cozy in the semi-private lounge area they’ve dubbed the Opium Den. It’s pretty much the same temperature (frigid) all year long at Ocean Beach, so you might as well snuggle under blankets around a fire while you catch a beautiful sunset. Afterwards hit up The Riptide, one of SF’s best dive bars, to warm up in front of the fireplace with a whiskey while you play Connect Four. It literally doesn’t get more romantic. Does your date have the critical thinking skills to be your partner in crime? Find out at this hour-long immersive game that challenges participants to solve problems in order to escape a locked room. Just kidding. Please don’t test your Bumble dates with creepy mind games. BUT if you and your date are into mind-bending challenges and philosophical discussions, this is a pretty unique way to spend an hour learning more about each other and yourself. 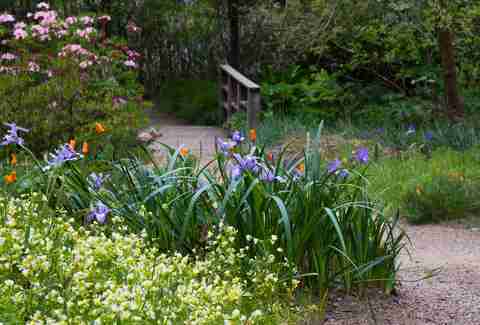 This 55-acre garden inside of Golden Gate Park is home to over 8,500 different kinds of plants, as well as lots of hidden nooks where you could probably get away with a little PDA without so much of the “P.” Whenever you go, if you bring proof of your SF residency, you’ll get in for free. Everyone knows the way to a person’s heart is through chocolate. Take that passion a step further with a Dandelion Chocolate factory tour. The tours are just $5 and happen Wednesday through Saturday from 6:10 to 6:50pm. You’ll learn about the journey from cacao farm to Dandelion’s small-batch chocolate, as well as taste cacao in different forms. After the tour, head to the café and heat things up with spicy Mission hot chocolates and a sweet chocolatey treat. At Onsen, you can soak in the 104-degree communal tub, take a sauna and a steam followed by an overhead cold plunge, and then head to the restaurant for a fantastic meal of skewers, dumplings, noodles, and sake. Probably not the best choice for a first date unless you think hanging out in bathing suits (or naked: bathing suits are only required at co-ed times) on a first date is a good idea, but definitely a relaxing activity for people who’ve already seen it all. Treasure Island is home to seven different tasting rooms, all of which are within walking distance of each other and most of which have amazing views of the San Francisco skyline. They’re all worth a stop, but Sottomarino, whose tasting room is inside a WWII submarine training vessel, and Fat Grape Winery, which is housed in a former Navy prison (there are still cell blocks) are musts. 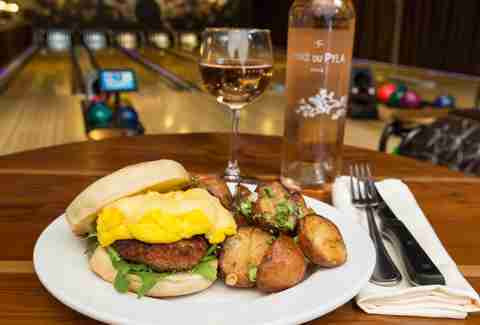 Vie and Sol Rouge are both great choices for the last stop because they have bocce ball courts with water views and are nice to chill at for a while. 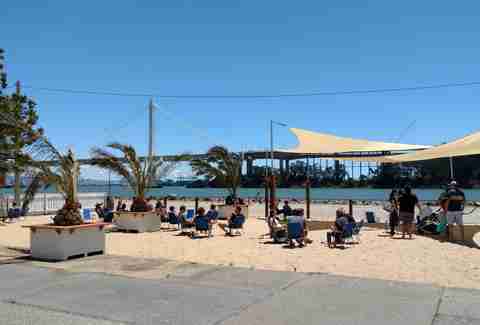 If you’re not quite ready to go home after that, head over to Woods Island Club where you can order beer inside an old airplane hangar and then drink it on the beach under a palm tree while snacking on empanadas. Amy Copperman is a writer in San Francisco. She’s been in a serious relationship with SF for eight years. Daisy Barringer is a SF-based writer. Follow her on Twitter and Instagram where she loves to share what happens on her dates.